Canadians who are getting into the holiday retail spirit early may have some difficulty delivering their gifts in time, as the rotating Canada Post strike enters its fourth week. For Winnipeg’s Lindsay Henley, who gets paid by mail and might not even receive paycheques on time, the threat of delivery delays has spurred her into early Christmas planning. Canada Post has cautioned that holiday deliveries may be in jeopardy if a “just-in-time resolution” is not reached with its workers. 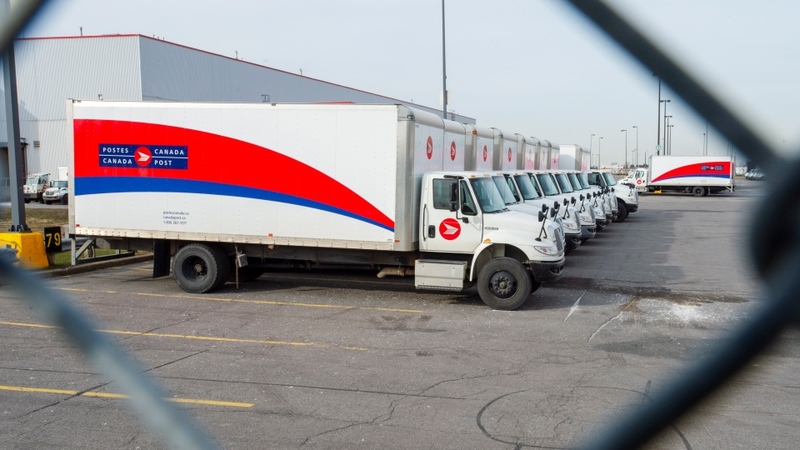 The postal operator detailed the terms of its latest offer to employees in a statement this week, including a pay increase of 2 per cent a year, a signing bonus of up to $1,000, a $10 million health and safety fund and overtime pay. The offer was made with the expected influx of Christmas and other holiday orders in mind, the statement said. With hundreds of trailers backlogged in major parcel centres in Toronto and Vancouver, the offer is a last ditch effort to reach a resolution in time to fulfil gift orders. The latest offer expires Saturday night at 11:59 p.m. “The time limit is necessary as this offer is only affordable if we can clear the backlogs caused by the union's strike activity and effectively deliver the quickly arriving massive Black Friday & Cyber Monday volumes,” they said. At Nerman’s Books, Garry Nerman said he too sends packages by other means but relies on Canada Post for other orders. While the rotating strikes are causing some difficulties, a full strike could make matters much worse. “If it became a full strike – especially at Christmas time – that would be really bad for a small business,” he told CTV Winnipeg. Canadians hoping to receive packages from international shippers in the interim might face delays too. Britain’s Royal Mail this week said it is suspending shipments to Canada at the request of Canada Post. E-commerce giant eBay also said it had received a similar notice from China Post.